It's the first Drop Everything and Read of February! I don't know about you, but January felt much longer than 31 days. The good thing about that was that I read more books that I anticipated. Here's where I am in my Reading Challenges, in addition to my list of what I'm reading now and what's up next. I'd love to see what you're reading. 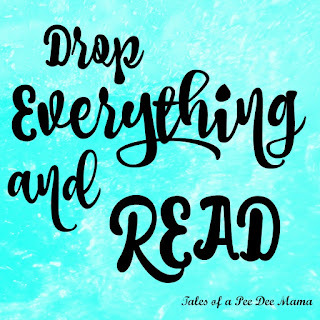 Link up your book related post below or leave a comment sharing what you're reading. I have the letters of the alphabet written down the side of 2 pages in my reading journal. Any time I read a book, I assign it to the letter for the first letter of the first "main" word of the title (so not a, an, or the). I hope that makes sense. Right now, since it's early in the year, it's easy to just assign them. Obviously my 2nd Harry Potter read didn't get a letter since H was already taken. I'm sure by the end of the year, I'll be searching for books starting with a specific letter.